Student lands dream job at Warner Bros.
A student from Edge Hill has bagged a job at Warner Bros. thanks to the skills she acquired throughout her degree, along with the University’s partnership with the Production Guild. Final year Television Production Management student, Emily-Beth Roscoe, from Rufford, always knew she wanted to work in film and television, so when the opportunity arose for her to have a chat with Guy Barker, financial controller and chair of the Production Guild, she jumped at the chance. Emily will begin her role as a Production Accountant when she graduates in July and will be based at Warner Bros. Studios in Leavesden. 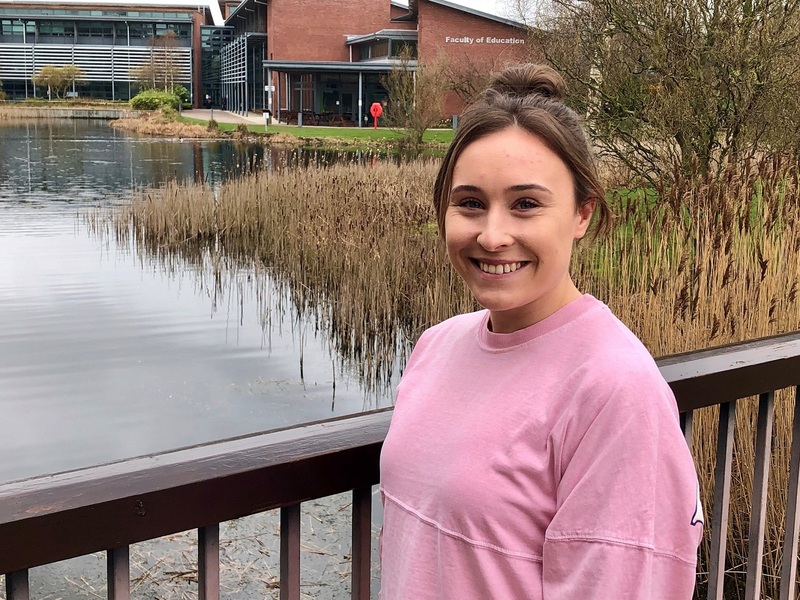 Throughout her childhood, Emily came to Edge Hill for sporting events and swimming, so when it came to choosing which university she wanted to attend, it was the obvious choice. Emily’s introduction to Warner Bros was made possible due to the partnership between the Production Guild (PG) and the Television Production Management (TVPM) degree, as its Programme leader Perelandra Beedles explains. “TVPM joined forces with the PG at the beginning of the year. This is a collaboration which not only offers a professional guild membership for students but also includes important networking opportunities with Film and Television Production recruiters. “When Guy Barker, the Guild’s financial controller, came in to speak to our third-year cohort about his experience working on films including Mission Impossible: Fallout and Dunkirk, he was immediately impressed with Emily. The skills she has gained as part of her degree made her ideally suited for a role at Warner Bros. he was about to recruit to. It is results like these which underline just how employable TVPM students have become. Visit www.edgehill.ac.uk/courses/television-production-management for more information about Edge Hill’s Television Production Management course.